This post is in memory of my bottle of Revlon’s Elegant, a casualty of flying in the unprotected environment of my suitcase. 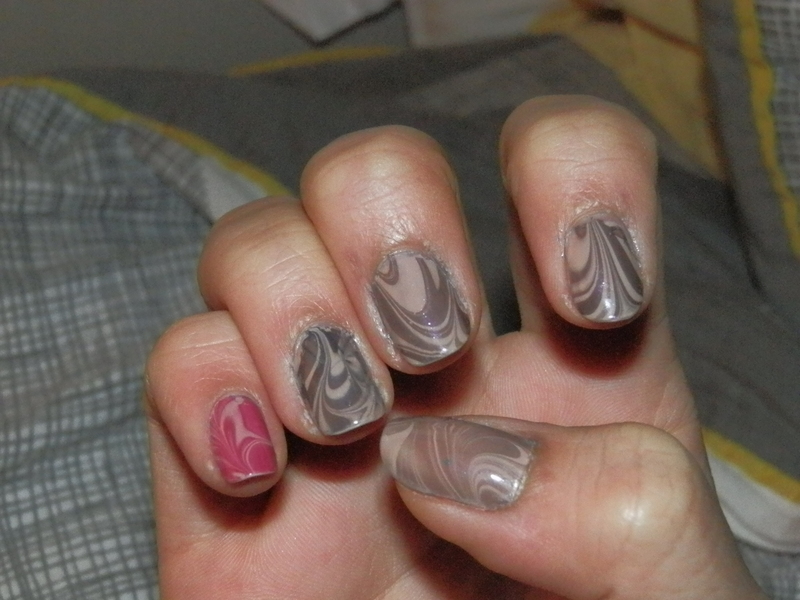 I can only recall this mani with experiencing frustration to the fifth degree because the polishes were drying up a lot faster than I could marble. Speed was the name of the game and fortunately resulted with this sweet combination. It kinda reminds me of peppermint and chocolate! What do you think? My adventures abroad in Japan have been fueling my imagination. There was so much to see, explore, and eat! I can’t wait to combine my memories and polishes together to see what kind of crazy cultural mix comes out! It took me a while to watch Tangled because let’s face it: I don’t watch movies. Maybe occasionally. But I’m really glad I did because I could once again indulge in the childish wish of if I had magical hair. 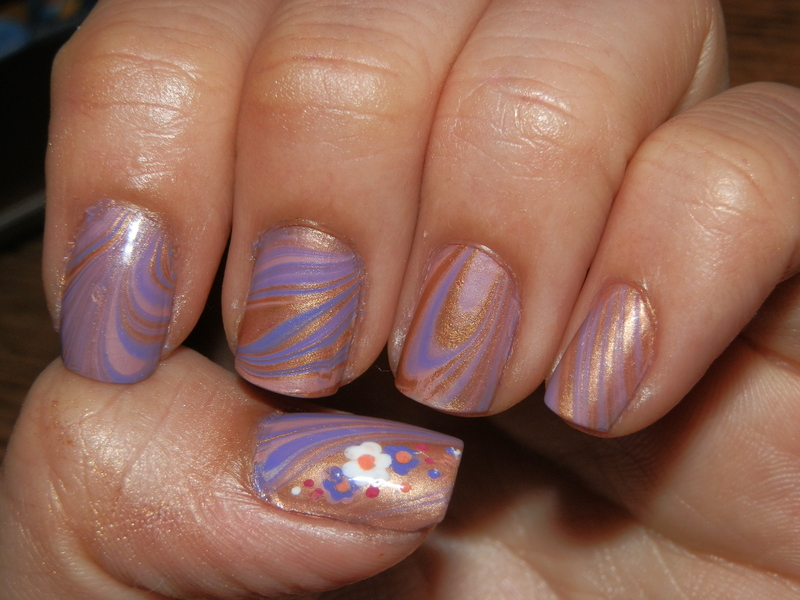 I had intended to watermarble a different princess when my muse took hold and tossed Rapunzel at me. I don’t try to fight my muse, but I have to say that this is hands-down the girliest mani I’ve ever worn. 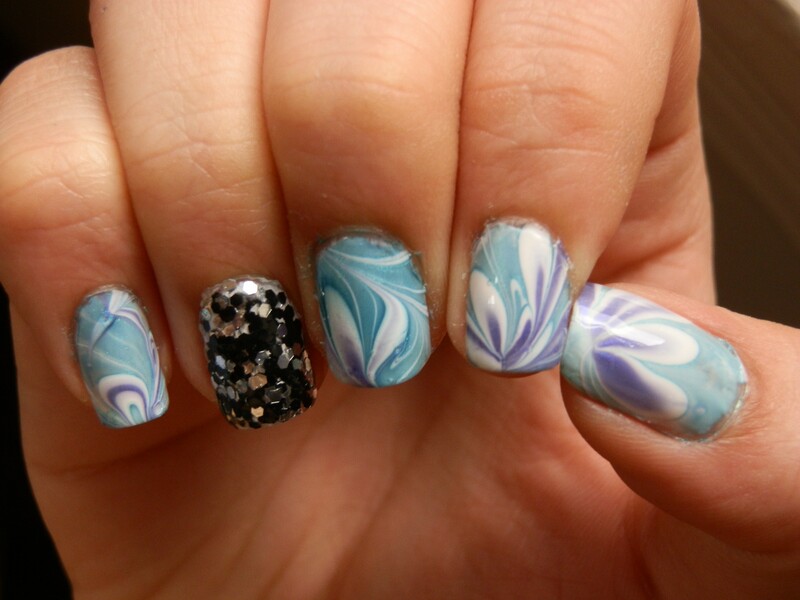 Today’s combination of clear skies and 60 degree weather practically begs for a spring-themed watermarble! 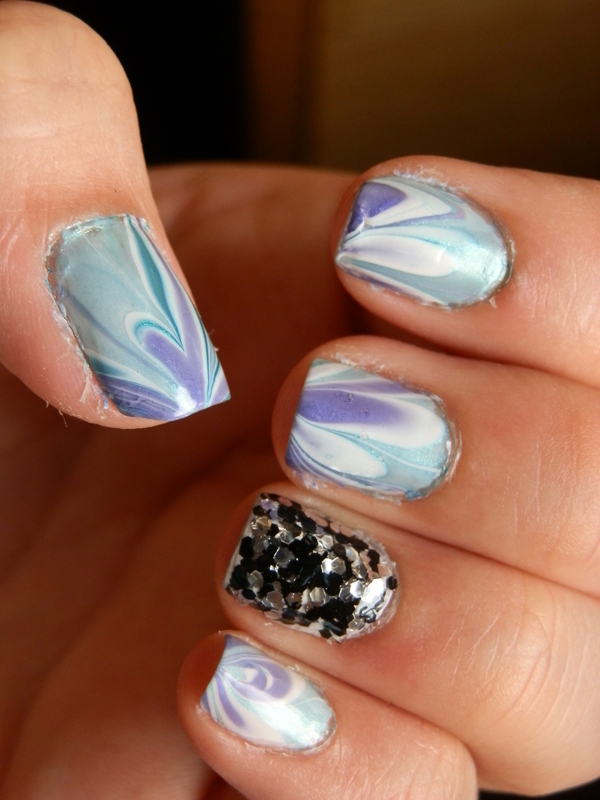 Due to my growing obsession of this kind of nail art, Charlotte has kindly let me take over Wednesdays to share with you all the magic and fascination of watermarbling! 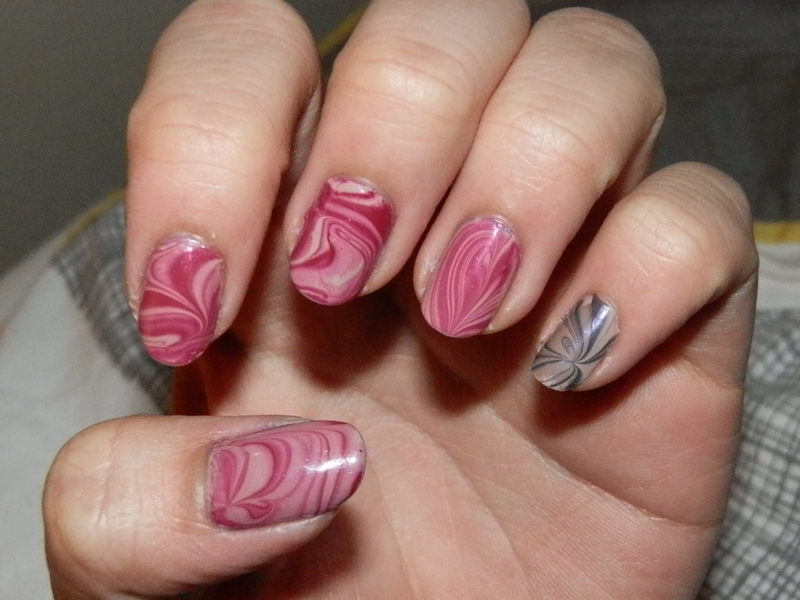 There is something incredibly calming about watermarbling. Perhaps it is the process of watching all the colors swirl together to create beauty or it is the knowledge that you at least have some control over something in our chaotic daily lives. What do you all do to calm down? Don’t forget to enter our giveaway! There are only four days left, so don’t miss out on the chance to win the gorgeous HITS Tango or Foxtrot!